Alexis Lathem, long-time friend and colleague from Vermont – writer – poet – and activist working on Indigenous Peoples Rights, especially regarding Hydro-Quebec’s invasion of Indigenous Peoples territory, asked me to submit a piece to About Place Journal for this issue. She is a fellow at the Black Earth Institute and will be an editor of the journal for the next issue. Alexis has an article in this journal Where there is Light there is Water. 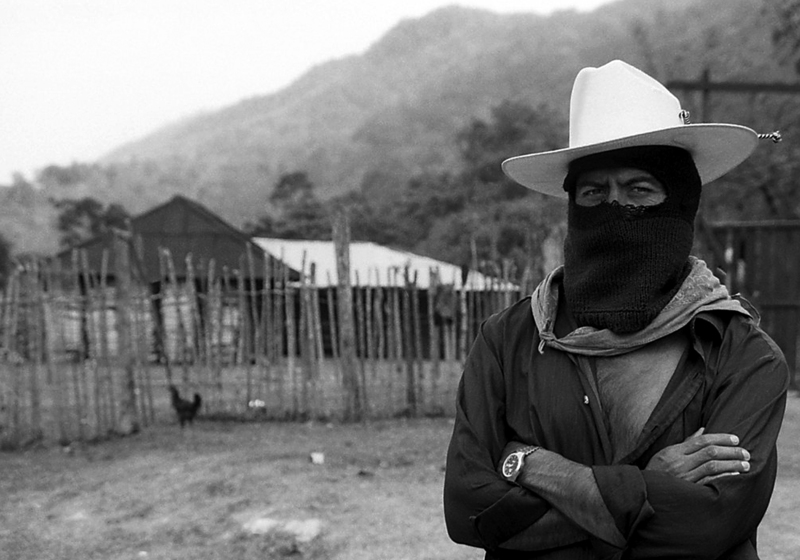 The Zapatistas rose up on the day NAFTA (the North American Free Trade Agreement) went into effect, denouncing it as “a death sentence for the Indigenous Peoples of Mexico.” NAFTA rewrote Article 27 of the Mexican Constitution, which guaranteed campesinos the right to ejido (communal) lands. Women played a central role in the Zapatista uprising and some military leaders were women. After the Zapatista uprising, and in defiance of the Mexican Government (el mal gobierno), the Zapatistas started a system of autonomy referred to as Caricoles (snail shells) which continues today. Women are important decision-makers in their communities. 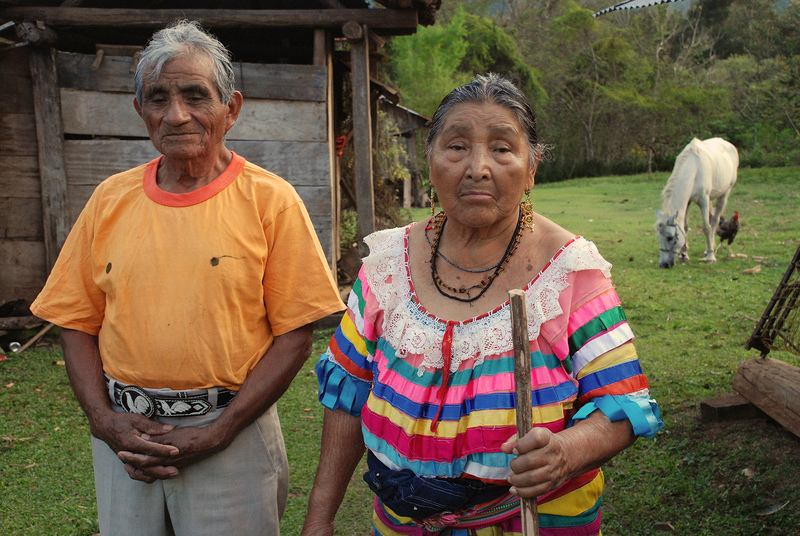 Many of the indigenous who women supported the EZLN were older or had families to care for. Those women contributed by operating radios to warn the communities if the military arrived, by sewing uniforms, feeding troops, and more. 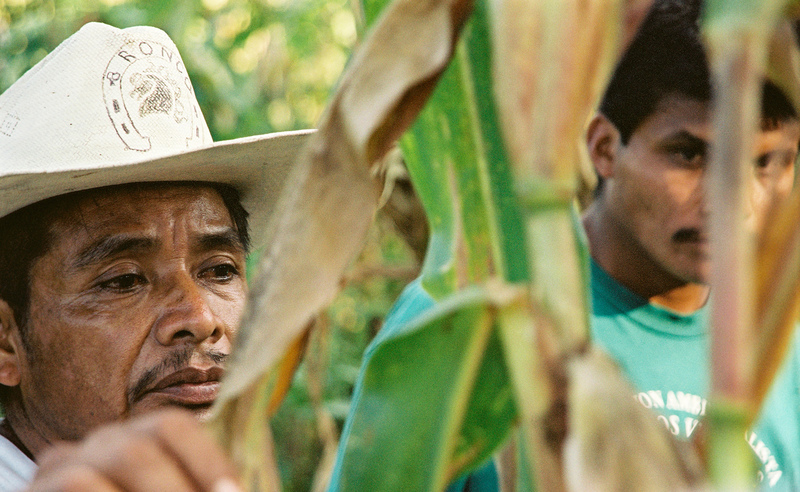 Following the uprising, communities like Nuevo San Gregorio moved toward a more sustainable way of living on the land based on their old traditions. They ceased using slash and burn agriculture and stopped using harmful chemicals. This community was faced with forced relocation for a conservation project but refused and were not evicted. 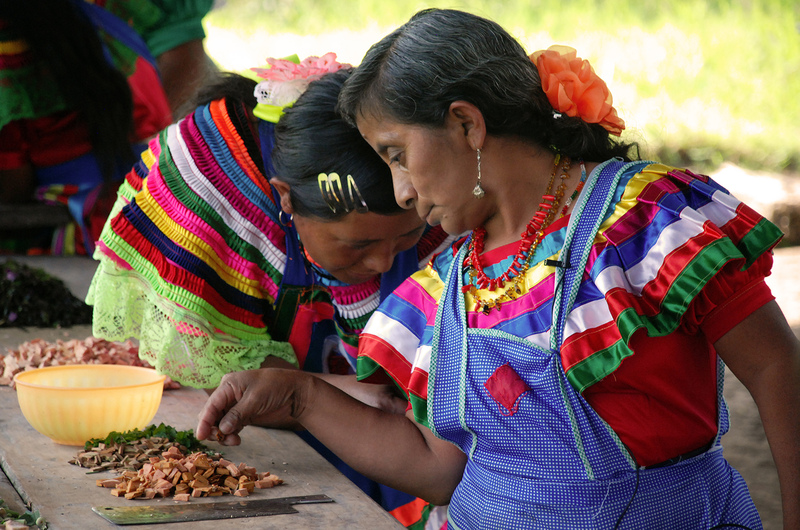 Women also play central roles in rural communities, such as these women who are preparing traditional medicines from materials they harvest from the jungle. The government suspended medical support to the village when they refused to voluntarily leave the jungle. There are no roads to travel the fifteen kilometers into the community. In spite of the threat of forced relocation by the Mexican Government, which wants this community’s forest for a carbon offset scheme, life quietly continues. This was the first time these elders had their photograph taken. The photograph was requested by their son. At the time it was taken, the military was expected to invade in four days. The community resisted and was not relocated. Orin Langelle is a photographer and activist who studied communications in St. Louis, MO and photography at the International Center of Photography in Manhattan. His first photography assignment was covering anti-war protests during the Republican National Convention in Miami Beach, FL in 1972. Langelle’s photography deals with social, economic and ecological injustice. He has been published in print and online publications, books and book-covers, and exhibited in the U.S., Europe, Mexico and Paraguay. He co-founded Global Justice Ecology Project fifteen years ago. He continues to be affiliated today as a consultant and photographer. Langelle previously served as Media Director for Global Forest Coalition. He chose the non-profit rather than the corporate media sector and has photographed on five different continents. In 1988 and 1989 he received awards from Environmental Action Magazine for “…recognition of photographic excellence in exploring humanity’s effect on the earth…” Langelle lives in Buffalo, NY.